Fellowship Previews: NUMBER ONES Valued-Priced Anthology Arriving in March! NUMBER ONES Valued-Priced Anthology Arriving in March! Trying to decide what to read next and not sure where to start? We have the perfect offering for your next binge read! Join our all-star roster of creators in the value-priced collection Dark Horse Number Ones, which contains full debut issues of eight different comics series for just six bucks and is slated for release on March 29, 2017. This full-color, 224-page trade paperback retails at just six dollars! 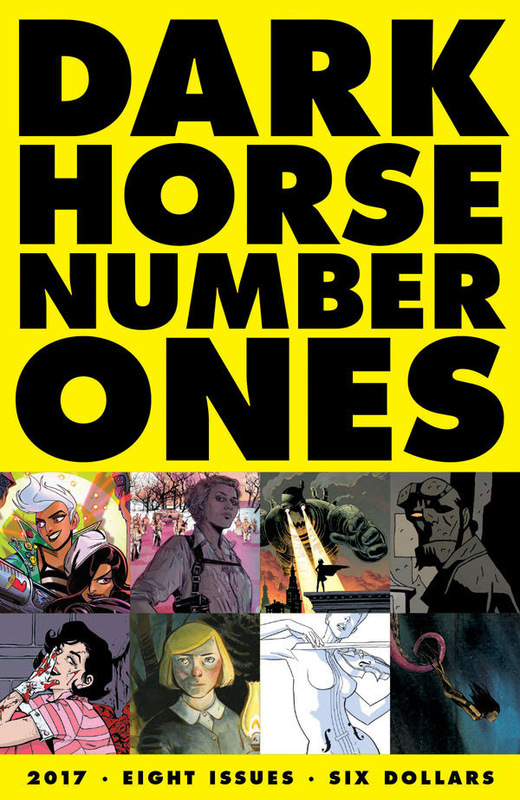 Find your new comics muse or hero in the Dark Horse Number Ones collection! The trade paperback is currently available for preorder at Amazon, Barnes and Noble, IndieBound, Things From Another World, DarkHorse.com, and more. Order your copy today!